Draft Final Report on Universal Acceptance of IDN TLDs. Comment now on recommendations to ensure that registration systems and services accept Internationalized Domain Names. Reply period closes 16 August. Draft Final Report ccNSO Study Group on the Use of Country and Territory Names as TLDs. Is a cross community working group, with participants from ALAC, ccNSO, GAC and GNSO, a good next step for determining how to use country and territory names as TLDs? Reply period closes 30 August. .MOBI Cross-Ownership Removal Request. Afilias Limited requested removal of the cross-ownership restrictions reflected on the .MOBI Registry Agreement. Comment period closes 16 August; reply period closes 8 September. .PRO Cross-Ownership Removal Request. Afilias Limited requested removal of the cross-ownership restrictions reflected on the .PRO Registry Agreement. Comment period closes 16 August; reply period closes 8 September. Locking of a Domain Name Subject to UDRP Proceedings Policy Development Process (PDP) Recommendations for Board Consideration. What does it mean to lock a domain and when should it be done? Comment period closes 23 August; reply period closes 13 September. Proposal to Mitigate Name Collision Risks. Interisle Consulting Group has completed a study on the likelihood and potential consequences of collision between new public gTLD labels and existing private uses of the same strings. Comment period closes 27 August; reply period closes 17 September. GNSO Structures Charter Amendment Process. What should the process look like for amending Stakeholder Group and Constituency charters? Comment period closes 28 August; reply period closes 18 September. The staff also populates a web page to help preview potential "upcoming" public comment opportunities. This page – "Public Comments – Upcoming" page – which will be updated again soon, provides information about potential future public comment opportunities. The page is designed to be updated after every ICANN Public Meeting to help individuals and the community to set priorities and plan their future workloads. 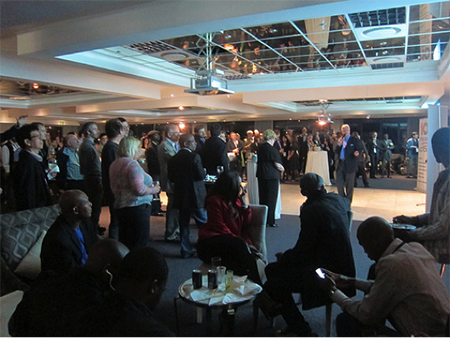 The ccNSO celebrated its 10th anniversary at a special cocktail reception with the ICANN Board in Durban. The reception included a presentation highlighting the ccNSO's history and its accomplishments, including the Internationalized Domain Name ccTLD Fast-Track Program and its growth to nearly 140 members. The ccNSO is a body within the ICANN structure created for and by ccTLD managers. Since its creation in 2003, the ccNSO has provided a forum for country code Top-Level Domain (ccTLD) managers to meet and discuss topical issues of concern to ccTLDs from a global perspective. The ccNSO provides a platform to nurture consensus, technical cooperation and skill building among ccTLDs and facilitates the development of voluntary best practices for ccTLD managers. The ccNSO thanked Lesley Cowley of .UK for serving as Council chair since March 2011, and welcomed Byron Holland of .CA as her successor. Byron will serve a one-year term as chair. Lesley, who did not stand for a third term as chair, will remain as a member of the Council. The new ccNSO Council chair, Byron Holland, is President and CEO of the Canadian Internet Registration Authority (CIRA) and the registry operator of the .CA top-level domain. The ccNSO posted a highlights video on YouTube of its activities at ICANN 48 in Durban. It includes scenes from the 10th anniversary cocktail reception and remarks by outgoing chair Lesley Cowley and incoming chair Byron Holland. Rwanda Information Communication and Technology Association (RICTA), the ccTLD operator of .rw (Rwanda), is the newest ccNSO member. There are now 138 members of the ccNSO. Rwanda is located in Central Africa, east of Democratic Republic of the Congo. There are now 30 African country-code registry operators in the ccNSO membership. IDN ccPDP is set to complete a second, final round of voting by the ccNSO members. At the ICANN Public Meeting in Beijing, the ccNSO Council adopted a set of proposals relating to the selection of IDN ccTLD strings and on the inclusion of IDN ccTLDs in the ccNSO as the Council Recommendation. The ccNSO members were given the opportunity to vote upon the Council Recommendation. Unfortunately the required 50 percent quorum was not met (65 ccTLD managers cast their votes – three short of the 68 ccTLD voters required by the process). As a result a second, final round of voting is being conducted. The second, final round of voting on the ccNSO Council Recommendation, which includes proposals for the overall policy for the selection of IDN ccTLD strings and on the inclusion of IDN ccTLD in the ccNSO will close on 13 August at 23.59 UTC. If the Council Recommendation is adopted by the membership of the ccNSO, it will be submitted to the ICANN Board as the ccNSO Recommendation to replace the IDN ccTLD Fast Track Process. This will end a six-year process. Approximately 80 percent of ccNSO respondents rated the overall ccNSO day one and two sessions in Durban as excellent or good, according to an online survey. The survey for day one was completed by 37 respondents; the survey for day two had 24 respondents. The most highly-rated sessions included Cross-Regional Capacity Building, Regional Organization News and ccTLD News Session. Survey results are used to form the agenda and schedule for the next meeting. ccNSO seeks volunteers to help draft a formal response on Geographic Regions Working Group Final Report. The ccNSO was requested to provide feedback and input on the Final Report of the Geographic Regions Working Group. At its meeting in Durban the ccNSO Council resolved to initiate the process to provide a ccNSO Statement and ask for volunteers for the drafting team. The ccNSO secretariat has sent out a call for volunteers to participate in the drafting team for the ccNSO Statement on this matter. The Council will appoint the drafting team. At the request of the ccNSO, the cross-community Geographic Regions Working Group was formed by the Board to identify the different purposes for which ICANN's Geographic Regions are used, determine whether the uses of ICANN's Geographic Regions (as currently defined, or at all) continue to meet the requirements of the relevant stakeholders. Based on its findings the Working Group submitted proposals for community and Board consideration relating to the current and future uses and definition of the ICANN Geographic Regions. The WG published an earlier draft Final Report, which included recommendations to redefine ICANN's Geographic Regions. The ccNSO commented on that draft document. The GNSO Council has now adopted the Locking of a Domain Name subject to UDRP Proceedings Final Report, including 17 full consensus recommendations, which are intended to clarify and standardize the process for locking of a domain name subject to UDRP Proceedings. The "locking" of a domain name registration associated with UDRP proceedings is not currently required by the UDRP as written, but is a common practice. 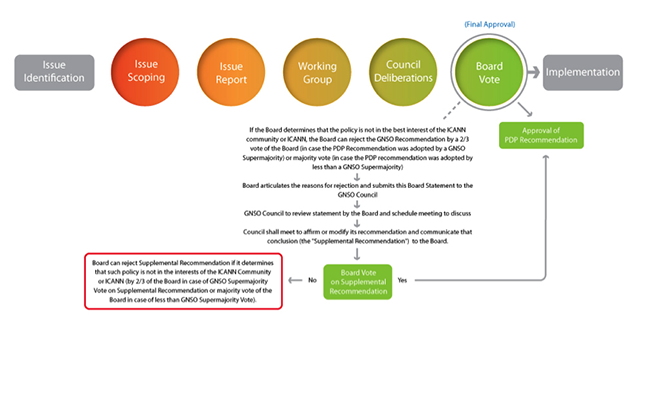 Since there is no uniform approach, the GNSO Council initiated a PDP and formed a Working Group to address and unify the issues surrounding the locking of a domain that is subject to a UDRP proceeding. Following the adoption by the GNSO Council, a public comment forum has now been opened to request public input prior to Board consideration of the recommendations. Comments may be submitted until 23 August, followed by a reply period if applicable. The GNSO Council seeks volunteers to serve on a Working Group to address a number of issues that have been raised in the context of the recent discussions on policy and implementation that affect the GNSO. The GNSO Council invites all interested parties to put forward their names so they can be added to the WG mailing list. The WG will be open to anyone interested to join. Community members who wish to be invited to join the group should email the GNSO secretariat. Mainly as a result of discussions stemming from implementation related issues of the New gTLD Program, there is increased focus on which topics call for policy and which call for implementation work, including which processes should be used, at what time and how diverging opinions should be acted upon. In order to facilitate these discussions, ICANN staff developed a draft framework for community discussion that identifies a number of steps and criteria that might facilitate dealing with similar questions in the future. The paper identifies a number of questions that the community may want to consider further in this context, as well as a couple of suggested improvements that could be considered in the short term. While developing a bright-line rule as to what is policy or implementation may not be possible, the hope is that by developing clear processes and identifying clear roles and responsibilities for the different stakeholders, it will become easier to deal with these issues going forward and allow for broad community participation and involvement. Following several discussions by the GNSO Council on this topic, the GNSO Council has now formed a Working Group which has been tasked to provide concrete recommendations on how to address some of these issues from a GNSO perspective. The Address Supporting Organization is currently considering issues related to the transfer of Autonomous System Numbers (ASNs) between Regional Internet Registry regions. This activity will require a global policy for the IANA ASN registry to reflect the appropriate transferred registration in formation. ASNs are used by various routing protocols and IANA assigns them in blocks to regional registries. The ALAC continues its high rate of preparing statements in response to ICANN public comments periods as well as comments and communications. Between the ICANN Meeting in Durban held in July and early August, the ALAC published and submitted five policy Advice Statements. The ALAC is currently developing several additional policy advice statements. ALAC recently certified two organizations as At-Large Structures (ALSes): The Euro Individuals Association and the Australian Communications Consumer Action Network (ACCAN). These two new ALSes expand the regional diversity of the At-Large community, which represents thousands of individual Internet end-users. With the addition of these two new organizations, the number of accredited ALSes will now total 156. 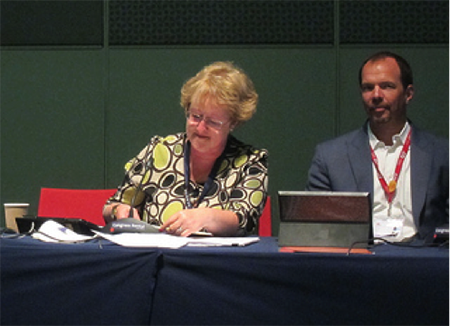 The ALAC recently voted to certify the Euro Individuals Association and ACCAN as ALSes. The certification process included due diligence carried out by ICANN staff and regional advice provided by the European Regional At-Large Organization (EURALO) and the Asian-Australasian-Pacific region (APRALO). The Euro Individuals Association (EIA) – This organization's purpose is to organize individuals within EURALO who are not members of other At-Large Structures. The mission of EIA includes, among others to support the general objectives of ICANN's European At-Large Organization (EURALO) specified in its Bylaws and its MoU with ICANN signed in March 2007 in Lisbon – i.e., inter alia, to promote the open development, multi-stakeholder based evolution and use of the Internet for the benefit of all people throughout Europe and the world. This organization will be an ALS within EURALO. The Australian Communications Consumer Action Network (ACCAN) is located in Ultimo, Australia. The mission of ACCAN is to develop a strong, coordinated voice for consumers and to represent and advocate on behalf of consumers to government, regulators and the telecommunications industry as well as to undertake research, policy development and education on consumer telecommunications issues. This organization will be an ALS within APRALO. One of the strengths of the At-Large community is that it incorporates the views of a set of globally diverse, Internet end-user organizations, or ALSes, organized within five Regional At-Large Organizations. The views of these grassroots organizations are collected through an internal, bottom-up, consensus-driven policy development process and find representation in the official documents of the ALAC. The GAC met in Durban to follow-up on outstanding issues from the Beijing GAC Communiqué [PDF, 159 KB], including the Board's response to GAC safeguard advice. The GAC also met to discuss future work beyond providing advice on new gTLDs. For further information please see the Durban GAC Communiqué [PDF, 103 KB]. ICANN receives input from governments through the GAC. The GAC's key role is to provide advice to ICANN on issues of public policy, and especially where there may be an interaction between ICANN's activities or policies and national laws or international agreements. The GAC usually meets three times a year in conjunction with ICANN meetings, where it discusses issues with the ICANN Board and other ICANN Supporting Organizations, Advisory Committees and other groups. The GAC may also discuss issues between times with the Board either through face-to-face meetings or by teleconference. The Root Server System Advisory Committee is progressing through its reorganization. The Executive Committee of the RSSAC has met several times, most recently at IETF 87 in Berlin, Germany. The old RSSAC has been dissolved with all ongoing work products moving to the new group and timelines set for delivery. Invitations to the SSAC and Internet Architecture Board to send liaisons to the RSSAC have been issued, and documents about the operating processes, roles and responsibilities are being completed. At the request of the Board of Directors of ICANN, SSAC provided comments and advice regarding ICANN's Report on Examining the User Experience Implications of Active Variant TLDs [PDF, 1.39 MB] in its recently published document, SAC060: SSAC Comment on Examining the User Experience Implications of Active Variant TLDs Report [PDF, 706 KB]. 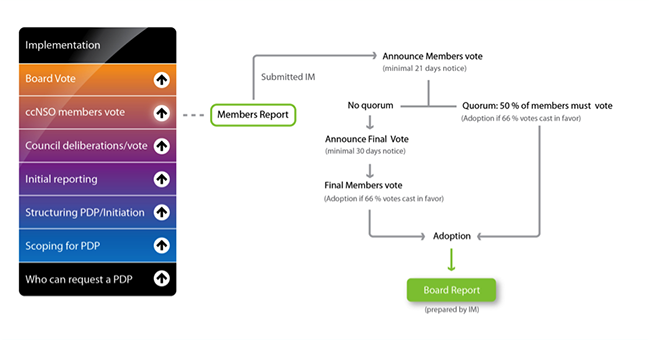 On 11 April 2013 the ICANN Board of Directors passed a resolution directing staff to implement the procedure to develop and maintain the label generation rules for the root zone with respect to IDNA labels, as well as requesting that interested ICANN supporting organizations and advisory committees provide staff with any input and guidance they may have to be factored into implementation of the recommendations in the user experience report. In response to the Board's request the SSAC reviewed ICANN's report Examining the User Experience Implications of Active Variant TLDs [PDF, 1.38 MB] and in SAC060: SSAC Comment on Examining the User Experience Implications of Active Variant TLDs Report [PDF, 706 KB] and it provided comments on recommendations specifically concerning security and stability issues. Internationalized variant top-level domains have been subjects of interest for several years for a number of user communities. The ICANN Internationalized Domain Name (IDN) Variant TLD Program has been working with subject matter experts in the community to develop solutions to enable the secure and stable delegation of IDN variant TLDs. The Program has recently concluded the work on two key components of the solution: The Procedure to Develop and Maintain the Label Generation Rules for the Root Zone in Respect of IDNA Labels [PDF, 1.39 MB] and the Report on User Experience Implications of Active Variant TLDs [PDF, 1.38 MB].